YIN YOGA TEACHER TRAINING AND TRADITIONAL CHINESE MEDICINE AND THE 12 MERIDIANS OPEN TO ALL The course is aimed at yoga teachers or people who want to get closer to yoga, who want to deepen the knowledge of YIN & YANG yoga philosophy, who want to get the basics of Traditional Chinese Medicine (TCM), where the concept of YIN / YANG polarity is derived from all aspects of life. Yin Yoga is a simple yet very intense practice that lets gravity do the work on the body and uses many of the classic Asanas of the Hatha yoga. Supports such as cushions, balls, tiles are used to allow the body to enter deeply into the asanas thus letting the energy flow and remove the emotional blocks that lead to physical blocks. Yin yoga teaches you to relax your body deeply, calm your emotions, stimulate the vital energy of the meridians (similar to nadi) and organs, it induces a deep and intense stretching. 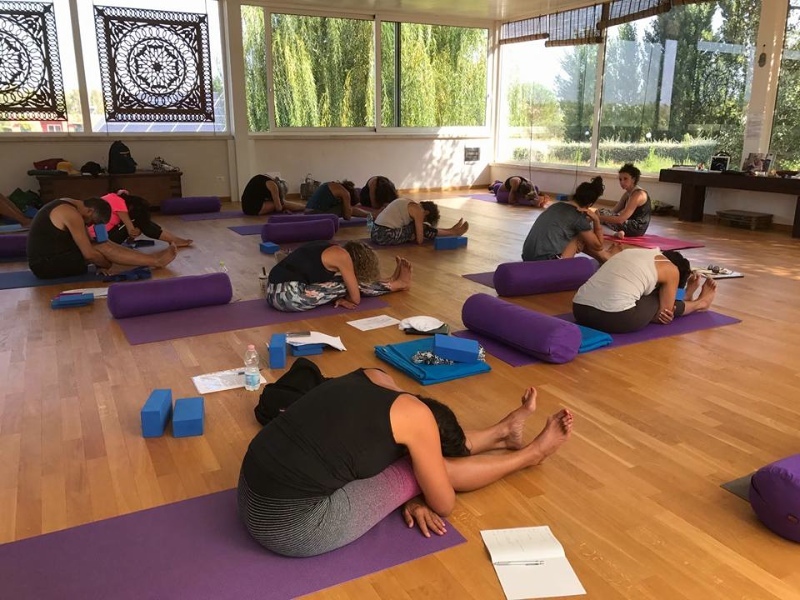 The purpose of yin yoga is to relax the muscles and stimulate the connective tissue by applying optimal tension for a while whilst maintaining a deep breathing. By doing so,the connective tissue stretches, strengthens and opens slowly, creating more space between the joints, improving the movement and making them more firm, stable and strong. Each organ has its own meridian in our body, consequently every meridian is linked to an emotion: Traditional Chinese Medicine teaches us that when these emotions are imbalanced (excess or defect), specifically related blocks may be created along the meridian connected to that organ (such as: lung/sadness; heart/ joy…) which prevent the regular flow of energy, causing stagnation and, consequently, illness. The course includes the deepening of YIN YOGA in relation to the twelve meridians (in particular the muscular tendon meridians, which are responsible for maintaining the good state of our immune system) and the peculiarities of each single meridian, the action of each single meridian on the body from an energetic point of view. 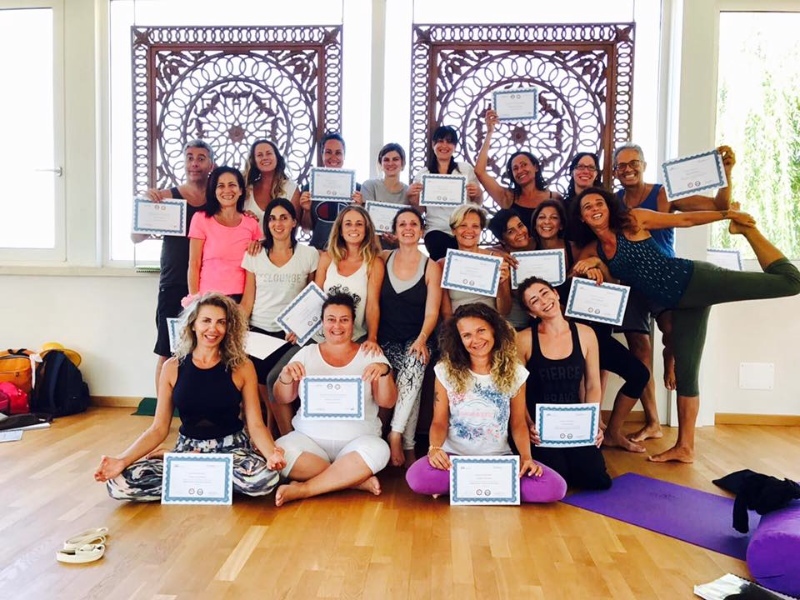 The course will be held by Vanessa Fabbrilei, Gold designation Hatha yoga teacher yogaalliance 500, SIS / CONI technical teacher.